Located on Sandgate Road at Oxford Terrace. The Astoria Cinema was one of several Astoria’s built and operated by an independent chain of Astoria Cinema’s in southern coastal towns. The Astoria Cinema in Folkestone opened on 20th April 1935 with Fred Astaire & Ginger Rogers in "The Gay Divorce". Designed by noted theatre architect Edward A. Stone, together with Ewen S. Barr, seats were arranged in stalls and circle levels. The interior decoration was by interior designers Mollo & Egan. Vertical decorative grilles flanked the wide proscenium. The Astoria Cinema was equipped with a Compton 3Manual/6Ranks organ which was opened by organist Leslie Holman. It had a fully equipped stage which was 20 feet deep. There was also a restaurant cafe, which contained a small dance floor and a fully licenced cocktail bar. 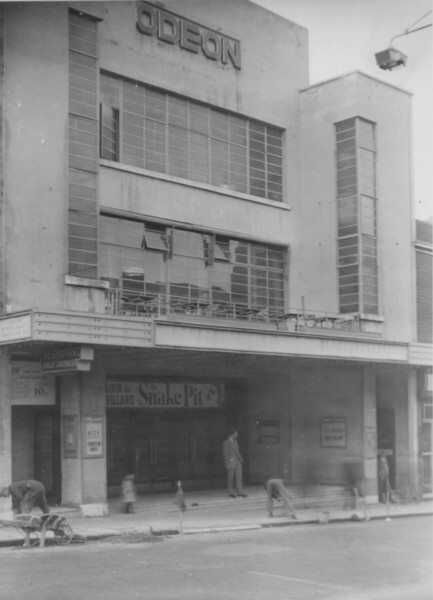 The Astoria Cinema was taken over by the County Cinemas chain in October 1936, and they were soon taken over by the Oscar Deutsch chain of Odeon Theatres Ltd. in 1937. 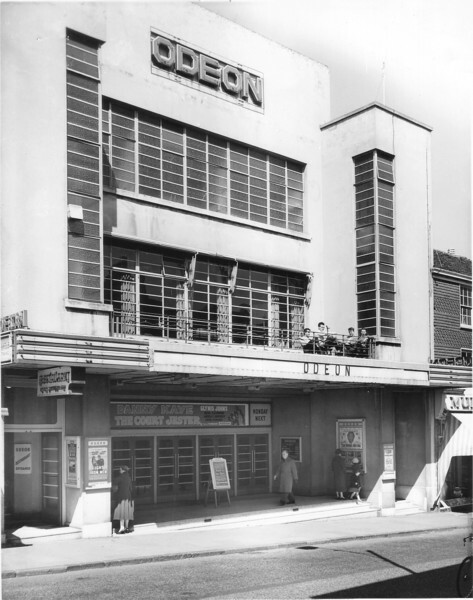 It was re-named Odeon from June 1940. During World War II, General Montgomery addressed the troups inside the Odeon, as they prepared for D-Day. Later operated by the Rank Organisation, the restaurant was converted into the Sandgate Bar & Disco. The Rolling Stones played a concert at the Odeon on 17th May 1964, and were supported by The Applejack and Heinz. The Odeon’s Compton organ was still played on special occasions. 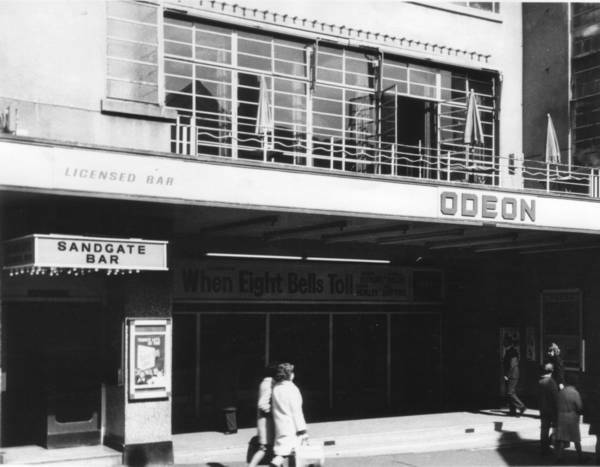 The Rank Organisation closed the Odeon on 26th January 1974 with a James Bond double bill. The organ was removed and transported to Holland. It was demolished and a branch of Boots the Chemist now stands on the site. I worked at a theatre in the town in the early sixties and went to this cinema a lot, it was very stylish. I can remember being one of the follow spot operators for the Rolling Stones concert mentioned above. I’m compiling a book of people’s memories of seeing the Stones in the 60s and would love to hear from anyone who attended the Odeon concerts. Oxford Terrace was at the rear of the auditorium and still is! The Astoria did not stand on a corner site as it was built into the existing terrace of commercial properties and replaced a a high class tea room & restaurant run by a Carlo Maestrani which opened on the site in 1889. The replacement Boot’s store is a pastiche of the former Astoria/Odeon with glazed tiles that look similar to the faience facade of the cinema including a canopy overhanging the entrance.